Familiar? 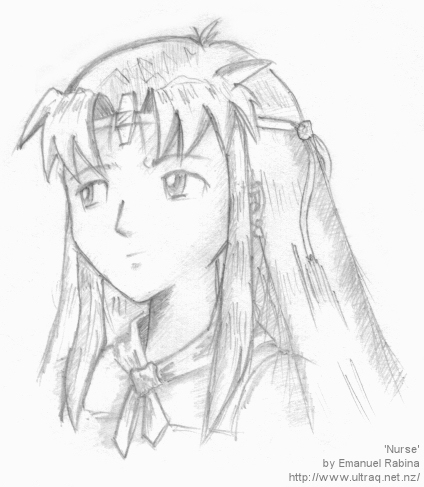 Though not from Xenogears this time, this character is exactly the same as another character of mine, Krystle. Nurse is Juliet's friend and nurse (duh! ), and since Krystle looks so much like a maid (probably is, can't decide), it made sense to make her Nurse.